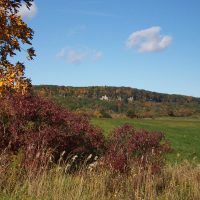 Hamilton Halton Brant is the place to walk along escarpment trails to see birds soaring on thermal drafts, traipse along trails to see feathered friends on the banks of a meromictic lake, or spot birds of prey swirling overhead. Bird watching in our region offers a variety of habitats, enabling birders to see a broad range of species. The beauty of birding is that an amateur has just as good a chance at making that rare bird sighting as a professional, and if you bring your binoculars to these six birding hotspots, you’re sure to add to your Life List. 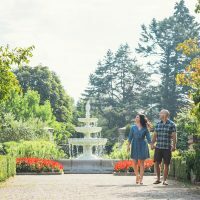 The birding experience at Royal Botanical Gardens can be as relaxing as watching nighthawks and swifts during the evening summer music series in Hendrie Park, or as dramatic as a hike out to the Spencer Creek delta to see thousands of swallows and blackbirds. Common species include Broadwing Hawks during Rock Garden tulips, Rose-breasted Grosbeaks during Arboretum lilacs, Baltimore Orioles during Laking Garden irises, and Chimney Swifts during Hendrie Park roses. The Gardens’ Cootes Paradise is a nationally designated Important Bird Area (IBA) and provides easy access to some of the most diverse birding in Ontario. Annually about 300 species can be observed, with four of the busiest and most rewarding birding months being April, May, September and October. Its most easily accessible site is Princess Point at the southeast corner of the marsh, while its most spectacular and isolated location is the Marsh Boardwalk Platform overlooking the Spencer Creek delta. Concentrations of birds and species at this location are often awe-inspiring, and lucky watchers might catch sight of the year round resident Bald Eagles. Check RBG’s website for trail maps to guide you along its more than 27 kilometres of nature trails. 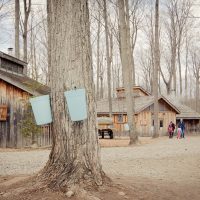 Native birds of prey are the stars at Mountsberg, where the Raptor Centre is home to 15 different species, including eagles, owls, falcons, hawks and vultures. Many of the birds that call the Centre home have experienced injuries that have left them incapable of surviving on their own in the wild. Birds of Prey shows, held daily during July and August and on weekends and holidays throughout the year, are a chance to see the birds up close. Photography enthusiasts can participate in a one-hour Raptors In Focus workshop to take truly one-of-a-kind photos with the feathered ambassadors, and Raptor Encounters by reservation allow you to get nose-to-beak with some of the resident birds. The reservoir at Mountsberg is another birding spot, and an excellent area for waterfowl migration in spring and fall. Species commonly seen in large numbers include American Wigeon, Rig-necked Ducks and Ruddy Ducks. One of the more interesting breeding species in the reservoir is the Least Bittern, a nationally and provincially threatened species. 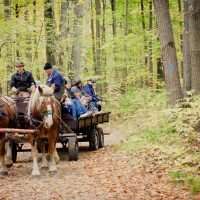 Mountsberg is also a good place to observe migrating warblers in spring throughout its wooded areas. At Mount Nemo Conservation Area, the thermal updrafts and air currents off the Niagara Escarpment create a perfect playground for turkey vultures. Hiking the Nassagaweya Canyon Trail between Crawford Lake and Rattlesnake Point Conservation Areas is another spot where you can look up to watch these prehistoric-looking birds that glide on their six-foot wingspan for up to six hours. With its diversity of habitats, including forest, marsh, swamp, valley and cliff, Hilton Falls provides great birding opportunities. This area of contiguous forest is habitat for forest breeding birds, such as Brown Creeper, Veery, Scarlet Tanager, Pileated Woodpecker, Black-and-White Warbler, and Black-throated Green Warbler. Head to the area’s network of wetlands to spot species like the Pied-billed Grebe, Virginia Rail, Sora, Wood Duck, American Coot, Marsh Wren, and Osprey. The threatened Least Bittern has also been known to breed here, and the deep valleys and fast moving water provide ideal habitat for the rare Louisiana Waterthrush. For years, Fifty Point Conservation Area has been the best-kept secret in the world of birding. 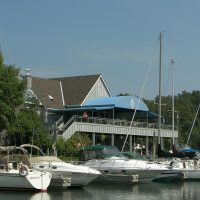 The shoreline area provides a perfect spot for nesting, making this one of the best places in North America to view pelagic birds (ocean birds or birds that spend most of their time on large open bodies of water) in a fresh water location. This Important Birding Area (IBA) regularly supports globally significant numbers of several duck species from fall through spring, including Greater Scaup, Long-tailed Ducks, Common Goldeneyes, and Red-breasted Mergansers. White-winged Scoters and Red-necked Grebes regularly occur in continentally significant numbers and in some years at globally significant levels. The area has a migratory bird lookout platform that gives observers great views of ducks, gulls and shorebirds. Bird watchers “flock” here in November and December, when birds from the Arctic migrate through the area and Long-tailed Jaegers, Pomarine Jaegers, Sabine Gulls and Kittiwakes — birds that are very difficult to find anywhere in Ontario — can be found. There are excellent birding opportunities in the Grand River watershed, where more than 300 bird species have been recorded, including many rare species. 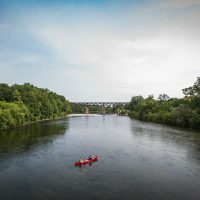 Hot spots include an 18-kilometre stretch that runs from four kilometres north of Paris to Cambridge, and includes Pinehurst Lake Park and The Cambridge to Paris Rail Trail. 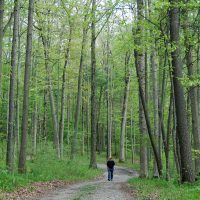 A total of 119 species of birds have been recorded in this area, where Carolinian forests are habitat for yellow-billed and black-billed cuckoo, pileated woodpecker, blue-gray gnatcatcher, wood thrush, ovenbird, and scarlet tanager. Large raptors include bald eagle, Cooper’s hawk, and sharp-shinned hawk. 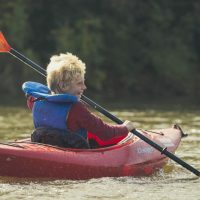 An area canoe, kayak or raft outfitter can help you spot great blue herons, bald eagles, egrets and more on guided trips. 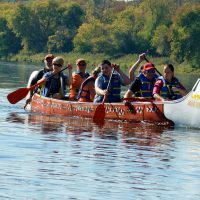 Grand Experiences, Grand River Rafting and Heritage River Canoe and Kayak Co. all provide expert guidance and the gear you need for a great trip. Birding is a great way to get out and enjoy nature, and Hamilton Halton Brant is home to some of Canada’s most beloved natural landscapes. Once you’ve hit these hotspots, be sure to get out and explore all of our other natural areas or head out on one of many outdoor adventures in the region.